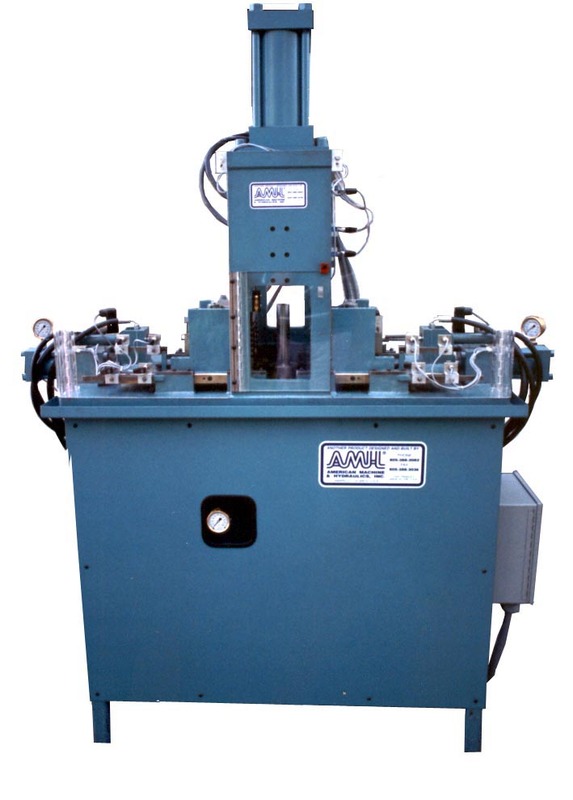 Model HFBV-9204-A Bellows Liquid Hydro Metal Forming Machine : American Machine and Hydraulics, Inc. The model HFBV-9204-A is another production bellows-liquid-hydro-forming machine. This particular unit forms in the vertical position because of the maximum preformed tube length of 12" (304.8mm) and maximum preformed tube diameter of 3" (76.2mm) and minimum preformed tube diameter of 3/8" (9.52mm). All our bellows machines use water soluble glycol oil that can operate at pressure up to 5000 psi. This unit is also completely self-contained and all manual and auto sequences are controlled by a plc system. All proximity switches are 24 volts. All units can be driven on 50 or 60 cycles and voltage can be supplied as the customer requires. This unit can produce a part in about 8-12 seconds. This includes load and unload. Tooling changeover is around 45 minutes to one hour. 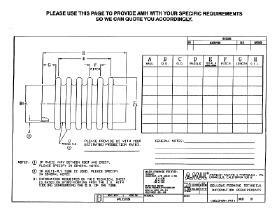 This worksheet can be used to provide AMH with your specific requirements so we can quote you accordingly. Simply click on the image below to bring up a printable version of the worksheet. Minimum preformed tube diameter - 3"
Maximum preformed tube diameter - 12"